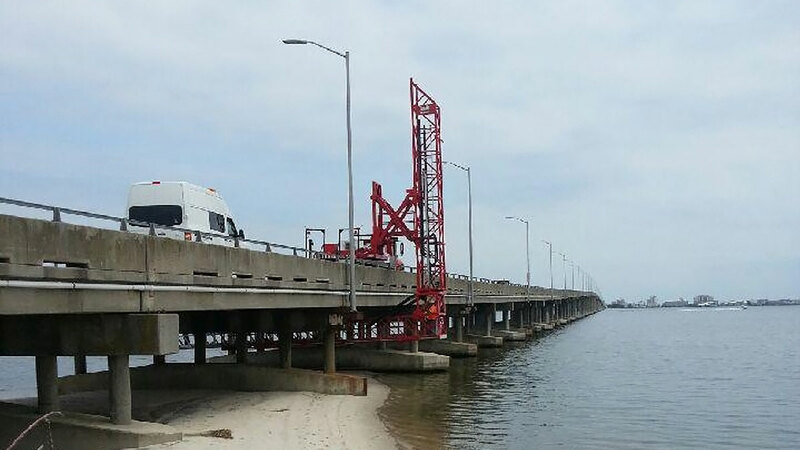 Our team traveled to Maryland to carry out an inspection on the Assawoman Bay Bridge. The client had two specific requests for this project consisting in using machinery with quick locomotion and having a long range of deployment access under the bridge. So we used J-200/66H, perfectly suited to our client’s requirements. Needless to say he was very impressed with the fast execution of our operator’s work that allowed the work to be completed much faster than was initially anticipated. On this particular bridge, where traffic is extremely heavy, the client particularly appreciated being able to remove the obstacles so quickly.